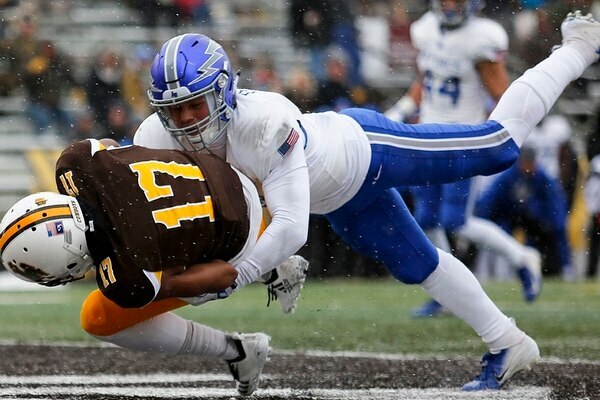 Tyler Vander Waal came off the bench and tossed two touchdown passes, including the go-ahead score on a 22-yard strike with 1:09 left in the game, to lead Wyoming to a 35-27 victory over Air Force on a cold, snowy Saturday afternoon in Laramie. 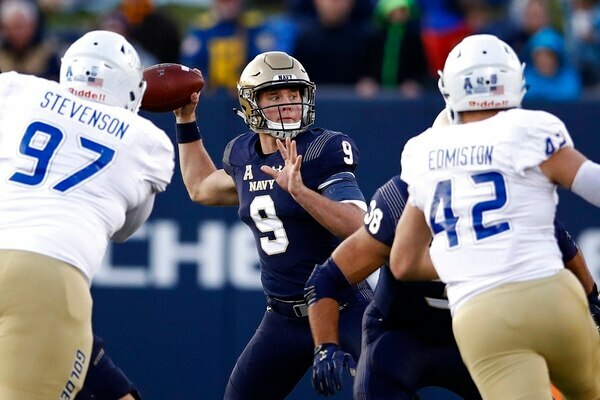 Navy's Zach Abey ran for 128 yards with a pair of touchdowns and the Midshipmen snapped a seven-game losing streak with a 37-29 victory over Tulsa on Saturday. Still perfect at home, not so perfect on the field. 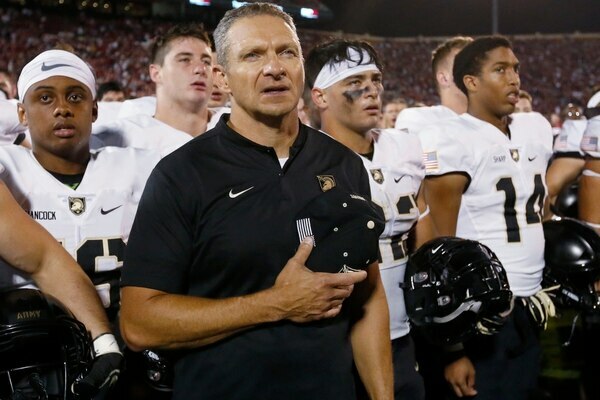 Army coach Jeff Monken will take it — grudgingly. 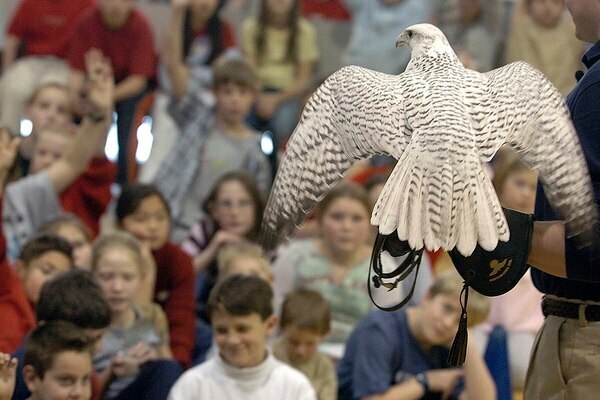 An Air Force falcon named Aurora is expected to make a full recovery from injuries she suffered at West Point during a prank before the annual football game between the service academies. Kadin Remsberg had a big hand in an Air Force win. Right after, he dropped to a knee and asked for his girlfriend’s hand in marriage. 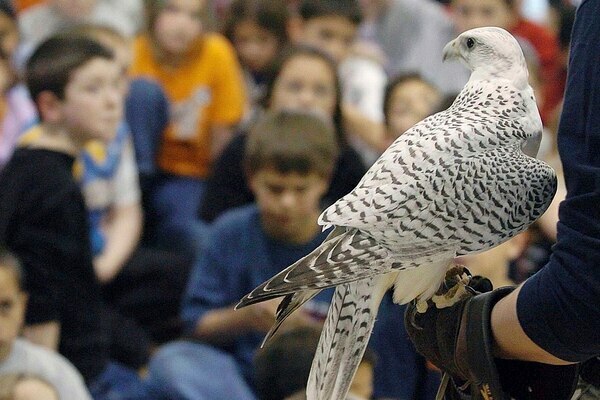 An Air Force falcon injured at West Point during a prank Saturday before the annual rivalry football game between the service academies is back home and showing signs of improvement. 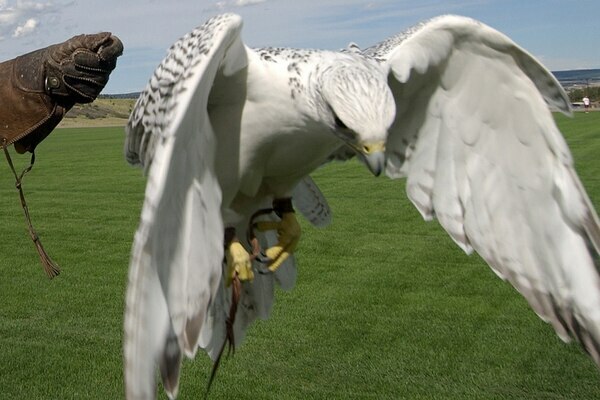 An Air Force Academy falcon mascot that was injured during a prank before the annual rivalry football game against Army is recovering back in Colorado, but her long-term prognosis is unclear. 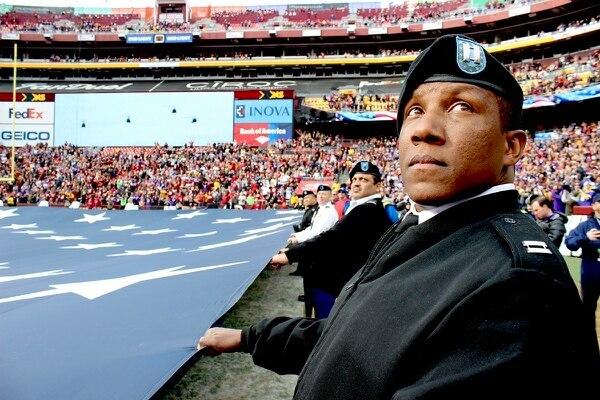 The NFL began its "Salute to Service " campaign to honor the nation’s military, veterans and their families by pledging to donate up $5 to its nonprofit partners for every use of the hashtag Salute To Service through Nov. 19. 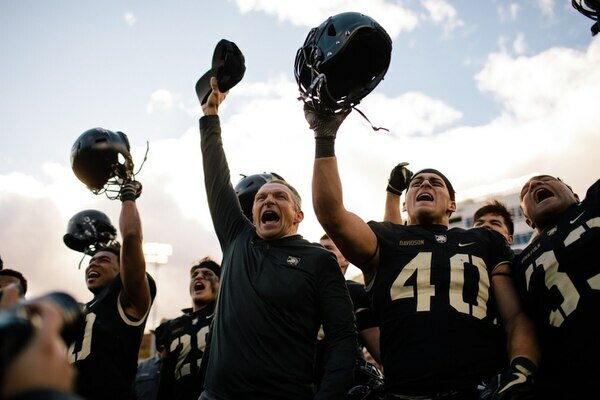 Army is in rarefied air and coach Jeff Monken is impressed. 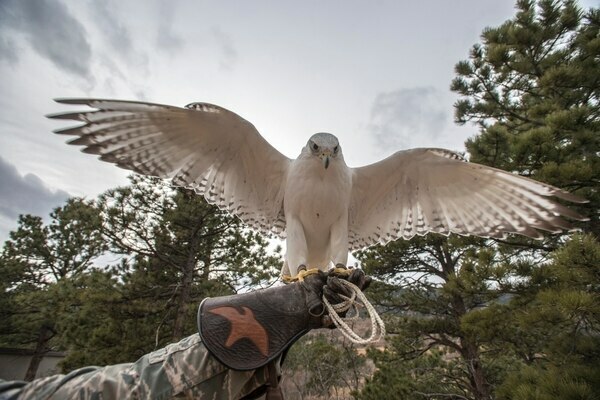 One of the Air Force Academy’s falcon mascots was injured during a prank prior to the annual rivalry football game against Army, according to an official at the Air Force Academy. 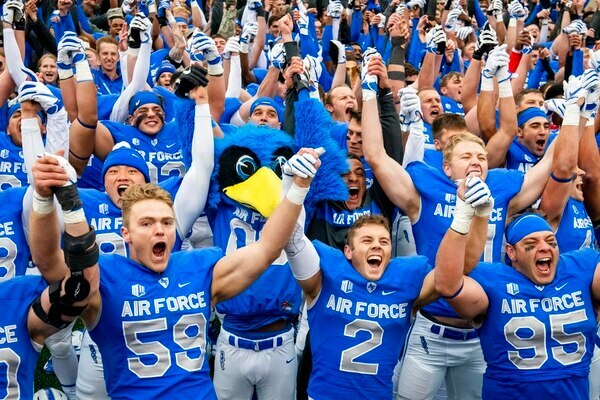 It’s been a year since Air Force lost its grasp on the Commander in Chief’s Trophy, and the Falcons want it back. 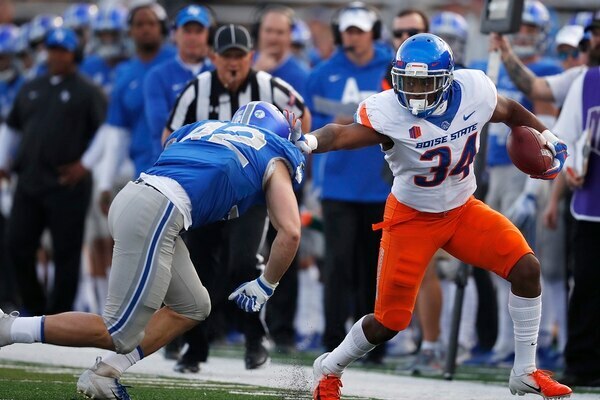 Just as Brett Rypien released his fourth touchdown pass of the night late in the second quarter, the Boise State quarterback took a shot to the chin from a defender, opening a cut that required stitches to close. 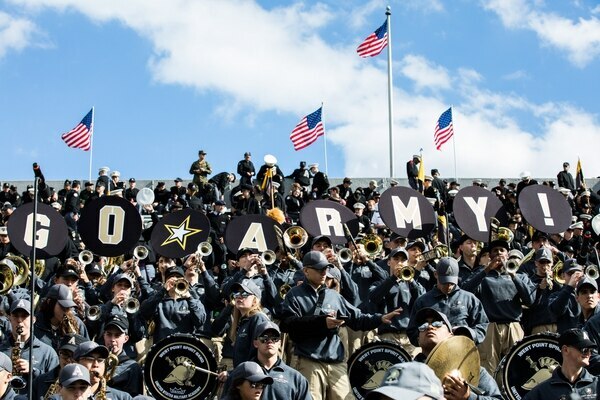 After battling through a 2-10 season as a freshman, Jordan Asberry knows the depth of where the Army football program was when coach Jeff Monken took over in 2014. Ian Book threw for 330 yards and two touchdowns, Dexter Williams ran for 142 yards and three scores and No. 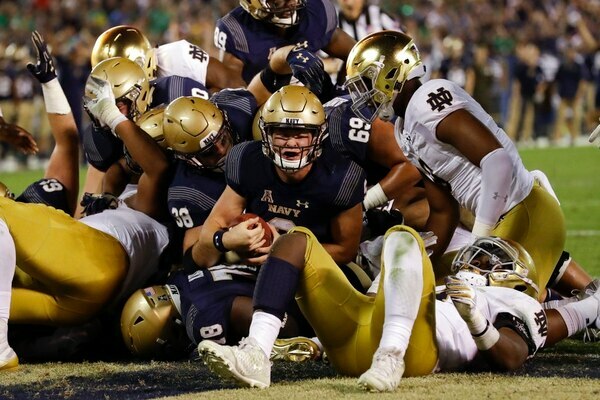 3 Notre Dame overwhelmed Navy 44-22 on Saturday night to remain undefeated and in the playoff picture. Reeling after a late charge by Miami of Ohio forced overtime, Army regrouped and won again at Michie Stadium. 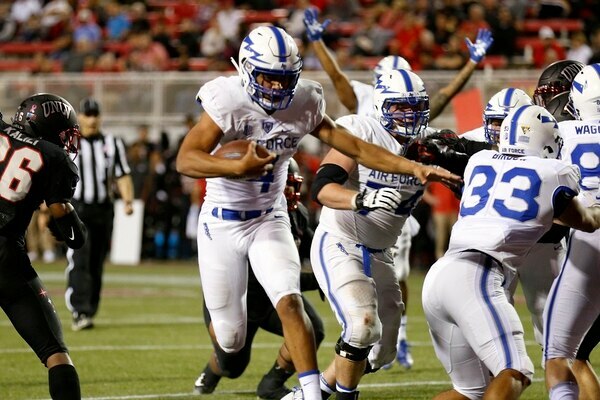 Air Force Academy quarterback Isaiah Sanders accounted for four touchdowns to lead Air Force to a 41-35 win over UNLV. Air Force took the first leg in the competition among the service academies for the Commander in Chief’s Trophy. The Falcons will play at Army on Nov. 3 while Navy (2-3) plays Army on Dec. 8 in its final regular-season game. 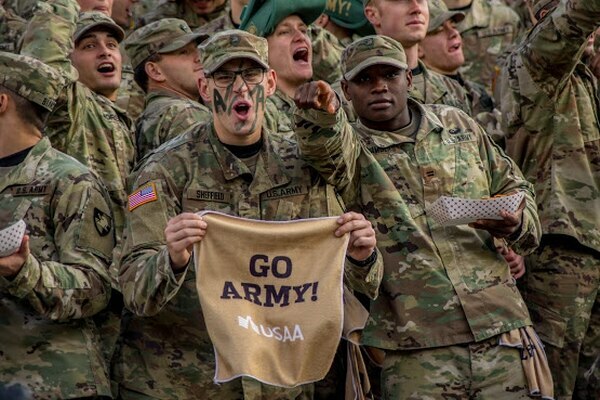 Army didn’t allow the disappointment from its overtime loss to No. 5 Oklahoma linger into the next week. 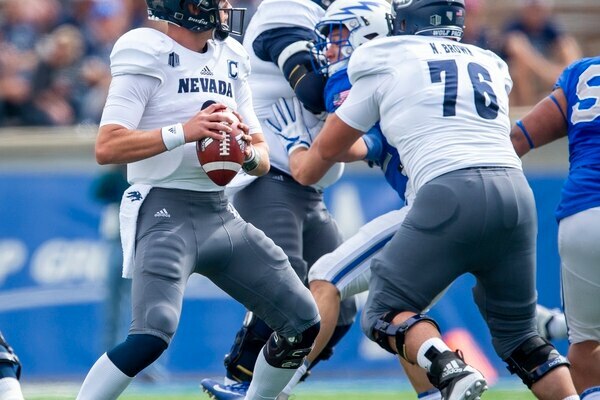 Nevada quarterback's worst moment in the game was fleeting, but his best was more than enough. Oklahoma’s College Football Playoff hopes were dangerously close to becoming bleak less than a month into the season.